Take notes during classes or meetings. Is there a better alternative to CourseNotes? Is CourseNotes really the best app in Personal Info Managers category? 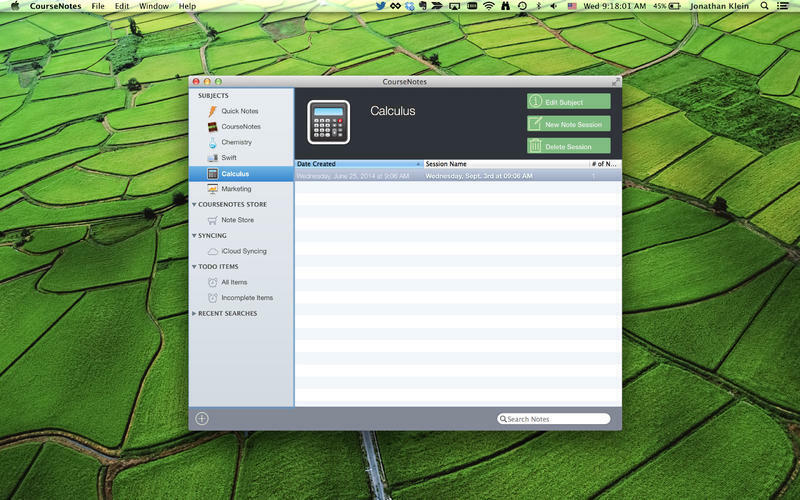 Will CourseNotes work good on macOS 10.13.4? 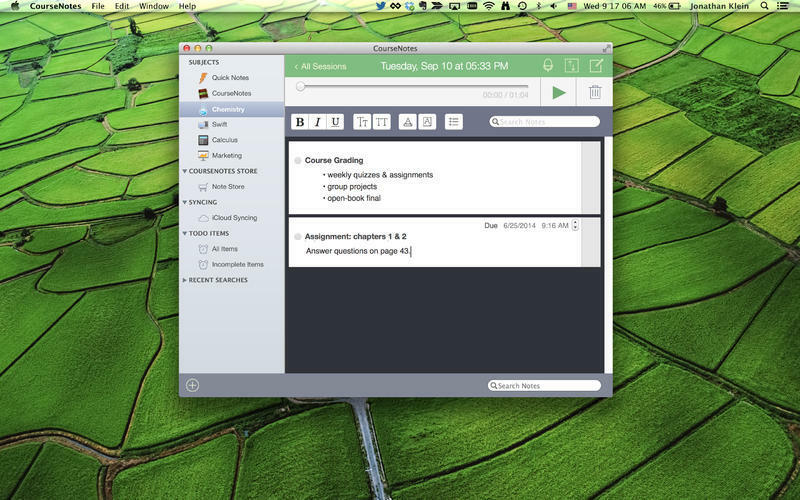 CourseNotes lets you take notes during classes or meetings, and keep them organized by subject! 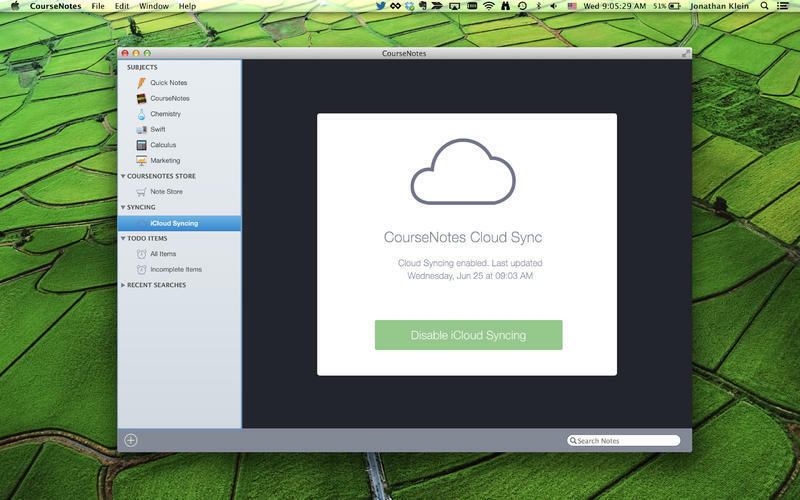 Review your notes later and search through multiple class meetings and notes all at once. You can also keep ToDo lists and track assignments. CourseNotes for Mac also syncs over WiFi with CourseNotes for the iPad, so you can take notes on the go and sync them back to your Mac. CourseNotes needs a rating. Be the first to rate this app and get the discussion started! Keeping class notes organized is a daunting task for any student. Put an end to unreadable notes on torn up spiral notebooks, and stop paging through your notes looking desparately for that one thing you remember writing that one time... Let CourseNotes be your guide!